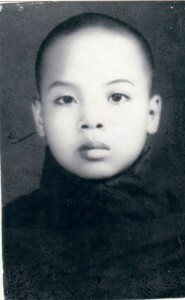 Sayadaw U Jotika was born on 17th of Feb, 1959. He has one older brother, one younger brother and two younger sisters. Sayadaw grew up in Ngazun Village in Sagaing Region, Upper Myanmar. Sayadaw U Jotika’s village Sayadaw was a friend of the Okan Tawya Monastery Sayadaw, Sayadaw U Nandobhasa in Monywa, and at the age of 12 years old, he was sent there to become a novice koyin. The head monk of Oo Yin Monastery, Sayadaw U Kusala, was impressed with U Jotika’s conduct and observing much potential in him, he wished to pass his monastery onto U Jotika. The small village Oo Yin Monastery was to be developed into what is now known as Oo Yin Pariyatti (Sar Thin Taik) Monastery, which now has over 450 monks and novice monks. Refer to History of Oo Yin Monastery for more reading. 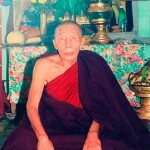 Sayadaw U Jotika became the first head monk of Oo Yin Pariyatti (Sar Thin Taik) Monastery when it officially opened in 1990. Sayadaw was accompanied with twelve young novices koyins who came with him from his home Okan Tawya Monastery. In 1998, Sayadaw went to Colombo, Sri Lanka to complete a Masters Degree (M.A). in Buddhist Studies. Sayadaw U Jotika has been a forefront pioneer with his ideas and actions as a monastic leader in Myanmar. During the military government occupation in Myanmar which created much suppression and control in monasteries, civilized and village life in Myanmar, Sayadaw U Jotika dared to push boundaries, continuing education of English in grammar and Dhamma studies for his novices. Sayadaw ‘s vision and goal of uniting the world, with his principal motto of, “Global Peace & Harmony ” is an emphasis on bringing about harmony and peace within all groups of worldly people, despite caste, race, gender or religion. The newly opened College of Global Peace and also the University of Global Peace currently in construction have this principal in focus, for all people to be able to study the Dhamma studies and receive a high standard of education. For more information on College and University of Global Peace, click here. 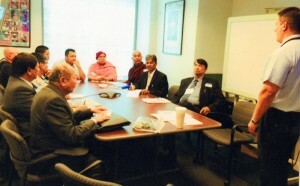 Sayadaw U Jotika at an Interfaith Meeting in Boston, U.S.A. 2013. Sayadaw openly encourages the harmony of relationships between Muslims and Buddhists, particularly in Myanmar, where there have been ongoing conflicts and opposition between the two religions. In 2013, Sayadaw has attended Interfaith religious meetings, with leaders of different religious groups to have discussions on ideas of bringing about change between conflicting Muslims and Buddhist communities. 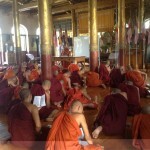 The Interfaith meetings were held in Thailand, Washington and Boston, U.S.A.
Sayadaw continues to integrate and encourage English teachings, both in grammar and Dhamma Teachings regularly teaching a few classes a week, at the famous Masoe Pariyatti Monastery, Mandalay which has 3000 monks. Sayadaw U Jotika with Monywa Sayadaw U Nandobhasa. 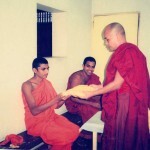 Sayadaw offering a robes Dana, donation on his birthday, Sri Lanka. 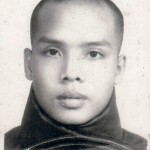 Sayadaw at age 26 after graduating from his Dhammachariya studies. Sayadaw teaching English at famuos Masoe Pariyatti Monastery, Yangon.